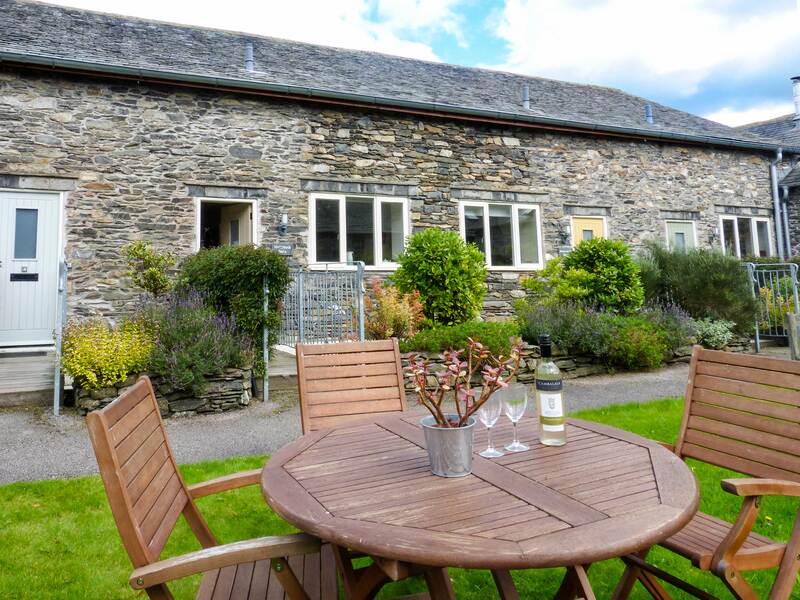 Holly Bush is a lovely mid-terrace cottage situated in the hamlet of Heaning, just 1.4 miles from Windermere. 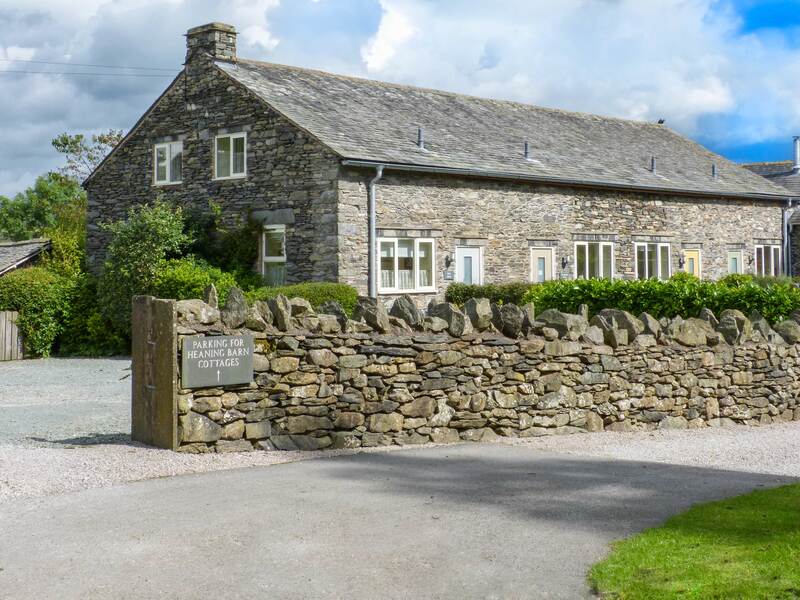 Set over the ground and lower ground floors, this cottage sleeps four people in two bedrooms, consisting of one double and one twin, a bathroom, a kitchen with dining area and a sitting room with electric fire. Outside there's off road parking for two cars, a shared, front lawned garden with furniture and a rear courtyard with bench. There is also an external shared laundry room and bike storage. Holly Bush is a delightful base for families. Over ground floor and lower ground floor. Two lower ground floor bedrooms: 1 x double, 1 x twin. Lower ground floor bathroom with bath, shower over, basin and WC. Kitchen with dining area. Sitting room with electric fire. Shared external laundry room. Electric wall heaters with electric fire. Electric oven and hob, microwave, fridge/freezer, shared washing machine and tumble dryer in laundry, dishwasher, TV with Freeview, DVD, CD/radio, WiFi. Fuel and power inc. in rent. Bed linen and towels inc. in rent. Cot, highchair and stairgate available in property. Off road parking for 2 cars. Shared lockable bike storage. Shared, front lawned garden with furniture, plus courtyard with bench. Sorry, no pets and no smoking. Shop and pub 1.4 miles. Note: There may be limited mobile signal with some providers. Note: Laundry room and bike storage shared with 1 cottage. Garden and courtyard shared with 4 cottages but all with separate seating areas. We also have details of 124 other similar properties nearby which might suit you.